Learn about sites that are significant in African American history that are located in North Philadelphia. Welcome to our self-driving tour of a part of Philadelphia - the City of Brotherly Love and Sisterly Affection. This tour can go as fast as an hour or as slow as you like, if you choose to make stops along the way. This tour booklet is also handy just as a reference, if you are not in the Philadelphia area or you choose to visit these sites at a later date. 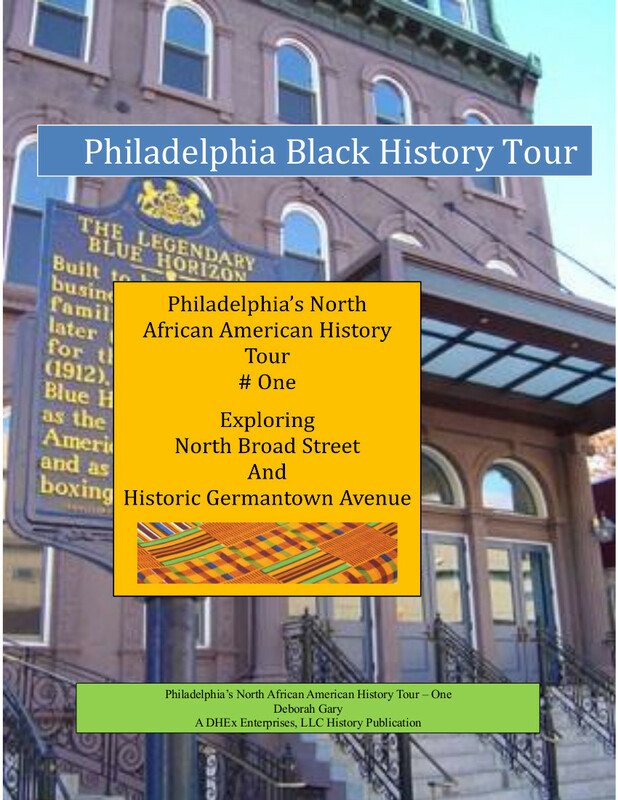 Tour #One will take you North on Broad Street into North Philadelphia to see sites that are significant to African Americans in Philadelphia. In fact, did you know that there are five (5) sites named after one African American on North Broad Street? Learn this and more. In addition, Philadelphia is known around the world for having the largest amount of murals. Some of the sites that we point out will include some of these murals. You will also visit Historic Germantown Avenue. Germantown has played a significant role in American history; it was the birthplace of the American antislavery movement, the site of a Revolutionary War battle, the temporary residence of George Washington, the location of the first bank of the United States, and the residence of many notable politicians, scholars, artists, and social activists and also the site of one the earliest Harlem Renaissance festivals. Many of these sites are on Germantown Avenue.